While looking for some free Pages templates I stumbled upon this site. 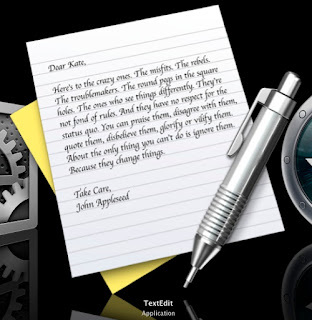 I particularly liked the TextEdit Icon. It rocks and exactly the same sentiments I feel at the moment.